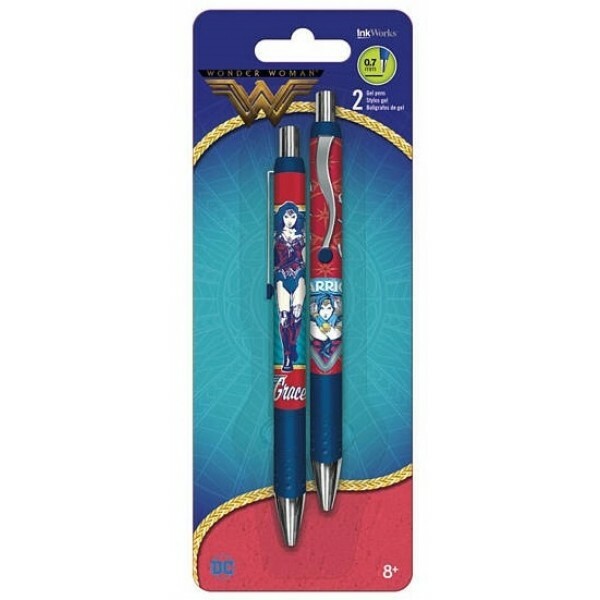 Let your day to day writing be inspired by Wonder Woman with this set of two high quality pens from Inkworks with artwork based on the live action Wonder Woman movie! These gel pens are retractable so they're ready to write with just a click. Smooth ink keeps the fun and ideas flowing at work, home or at school. Both pens have black ink and a 0.7 mm fine point. For more girl-empowering products for back to school, visit our School Supplies section in Kids Gear.